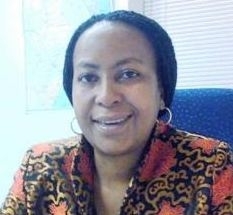 ITHALA Development Finance Corporation has appointed a leading woman banker, Yvonne Zwane, as its group chief executive. Zwane becomes the first woman CEO in the corporation's 51-year history. Zwane has worked as CEO of national government business at FNB. Before this, she was FNB's provincial director, managing the public sector banking portfolio, operating with a R20 billion budget and driving FNB's banking strategy in KwaZulu-Natal. She holds a Master's in business leadership (MBL), a BComm accounting and a university educational diploma. Ithala Group chairman Mandla Gantsho said the corporation was poised to rise again under her leadership. Economic Development MEC Mike Mabuyakhulu said her appointment put Ithala in a good position.